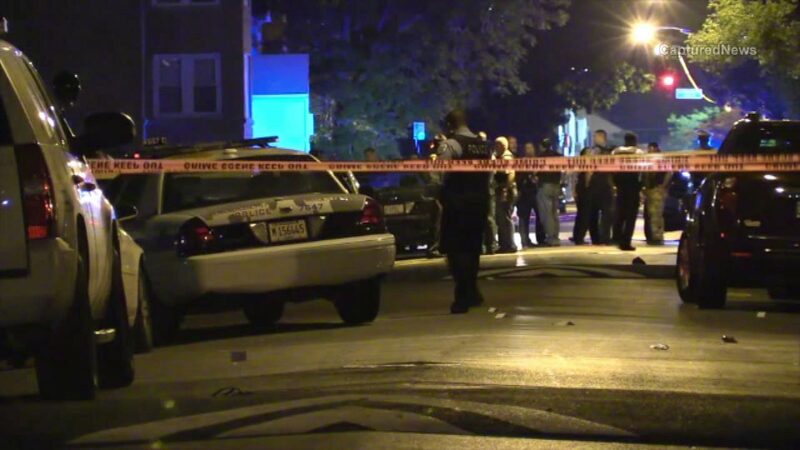 CHICAGO (WLS) -- Chicago police have a suspect in custody after a shooting on the city's West Side Saturday left one man dead and a teenager injured. Both victims were standing on the 3500-block of West Grenshaw around 1 a.m. Saturday morning. A white van drove by and someone inside opened fire. A 25-year-old man was hit in the chest and died. An 18-year-old suffered a graze wound to his back. Police chased the suspect and took him into custody.